Austria’s innovative brand vegini has been presented with the award for 'Most Innovative VEGAN Product' at the Wabel Chilled & Dairy Summit. The Summit took place last week in Paris, and showcased some of the latest trends and innovations in the chilled and dairy sectors. 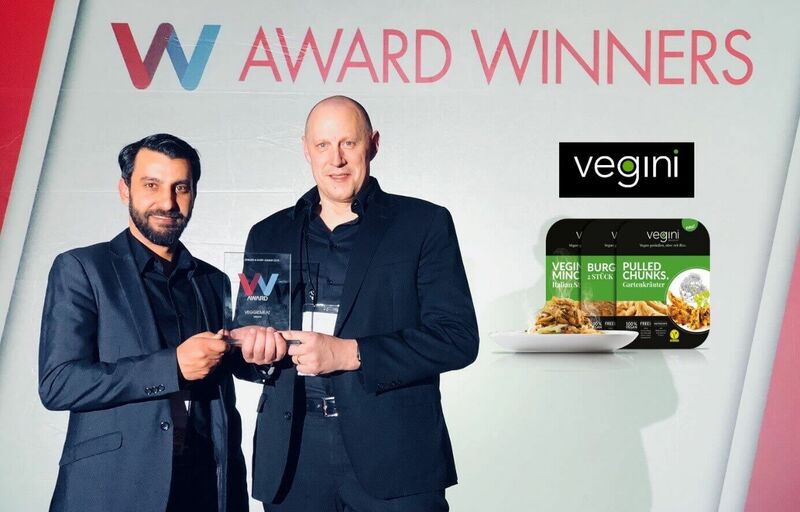 Commenting on the announcement, the company’s CEO Andreas Gebhart & International Sales representative Khaled Aiesh, said that receiving the award was a great honour and an acknowledgement of vegini’s success and innovative pursuit to provide clean, healthy and protein-rich products. "Uniquely designed in modern and environment-friendly packaging, we strive to continue our commitment to clean, healthy and high-quality products."